Final product just prior to adding to boiling water. 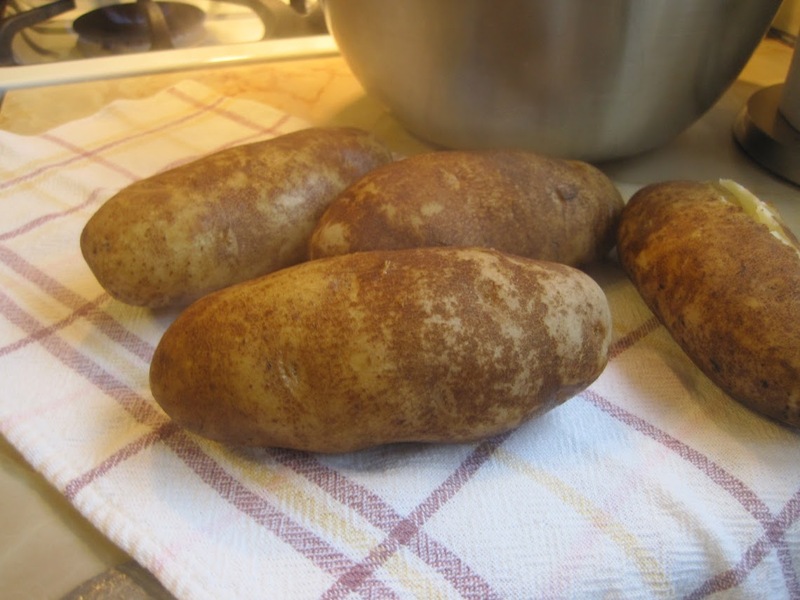 Pre heat the oven to 400 degrees Fahrenheit and bake potatoes until tender - about 60 minutes. Scoop out the potato flesh and pass through a ricer and collect in a bowl. Season with salt and mix. Sprinkle ¼ cup flour on a large wooden cutting board and begin to knead the potatoes until the dough begins to come together. Along the way make sure to sprinkle in the remaining ¼ cup flour. 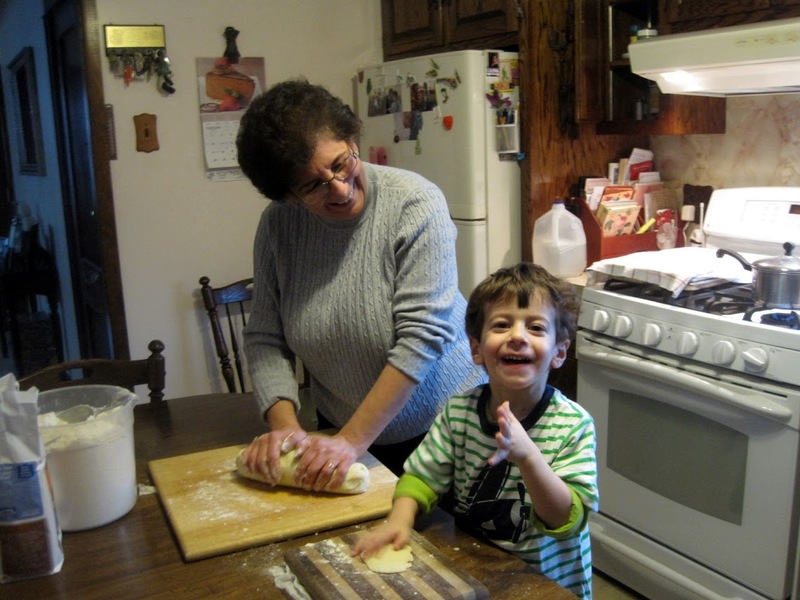 Roll a piece of the dough into a rope-like shape about ½-inch thick, then cut the into ½-inch lengths. 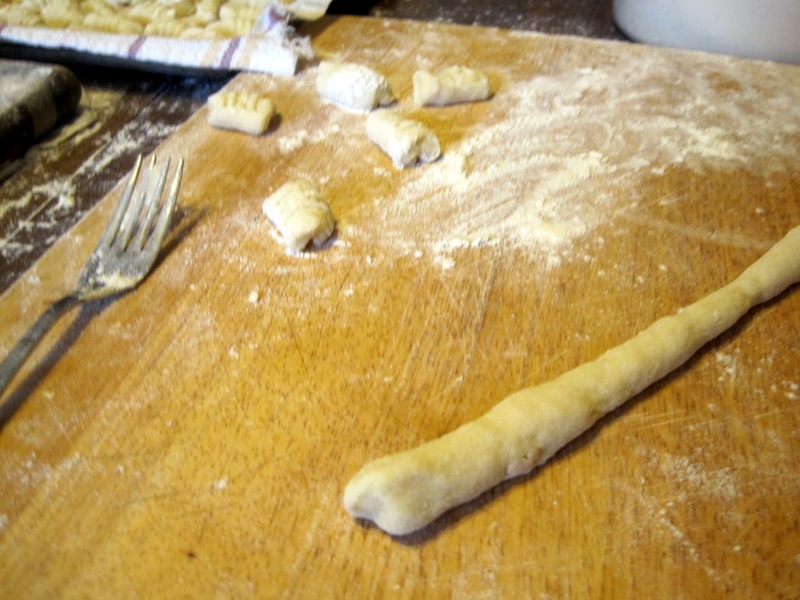 To achieve the characteristic gnocchi lines score each piece by rolling it along the tines of a fork. Assemble the pieces on a large baking tray lined with wax paper. 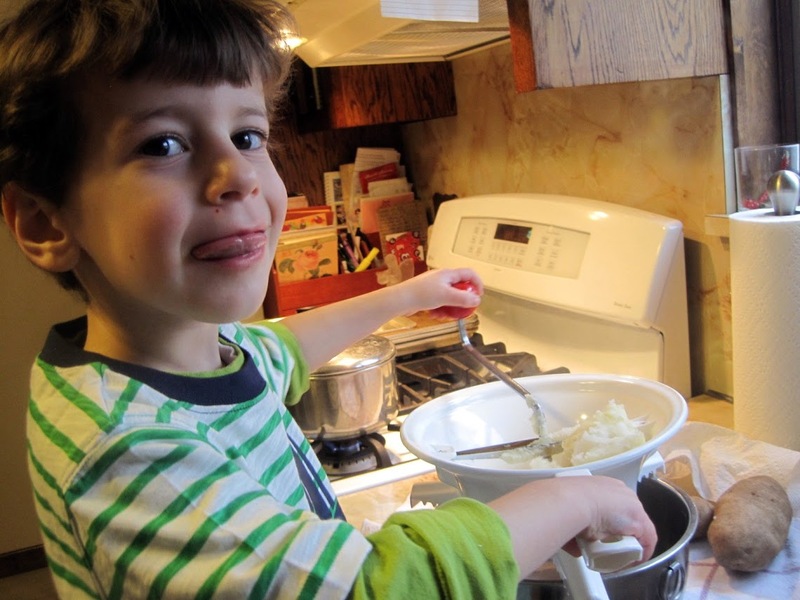 To cook the gnocchi, boil plenty of water and gently add the pieces and stir with great care. 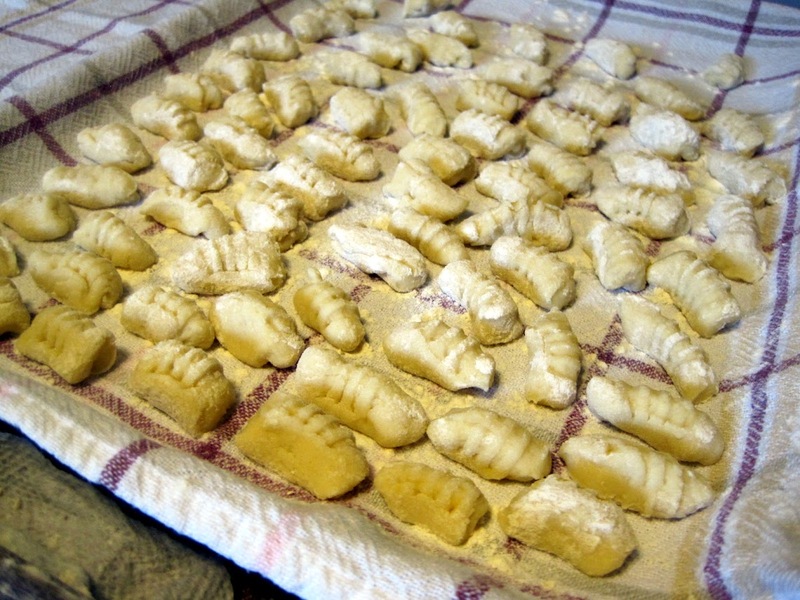 A few seconds after they rise to the surface, the gnocchi are done. 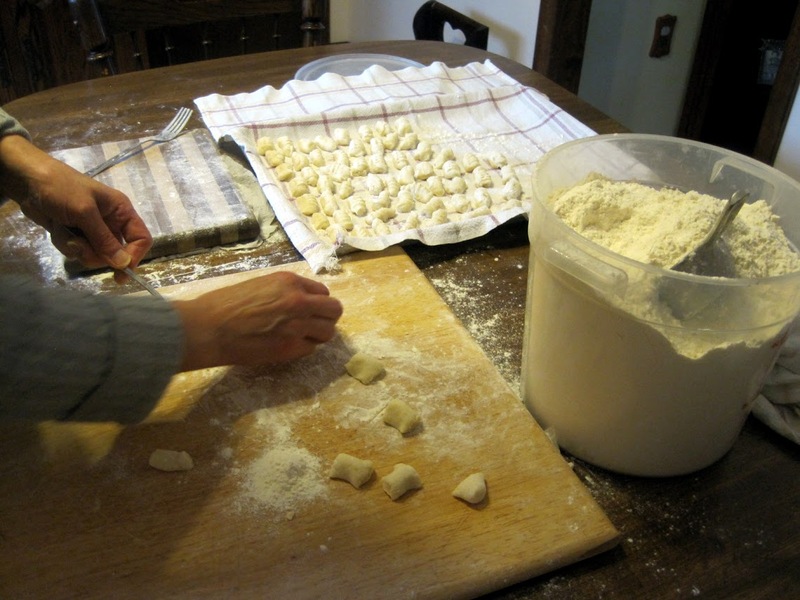 We like to serve gnocchi with a bit of butter and grated cheese or a spoonful or two of homemade tomato sauce. Ricing the potatoes through a food mill is critical! Gnocchi or potato pasta are a nice variation from traditional pasta. 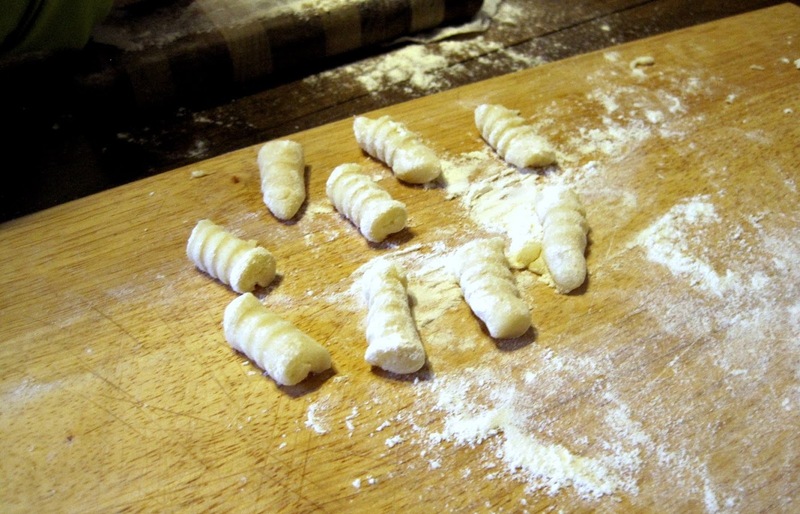 Gnocchi are easy to make if you follow a few basic principles.